Opposition politician Aleksei Navalny has managed to leave Russia to attend a ruling in his case at the European Court of Human Rights (ECHR), a day after he was barred from boarding a flight out. Navalny, one of President Vladimir Putin’s most prominent critics, posted a photo of himself at passport control and wrote that he was allowed to leave the country. “Really, this time everything was OK,” he wrote in a post on Instagram and Facebook, comparing his relatively easy exit to his thwarted attempt to leave Russia a day earlier. However, he said he will sue the Federal Bailiffs Service (FSSP) over what he called “illegal activities” and demand compensation for the 29,542 rubles ($436) in financial losses he said he and his lawyer sustained due to the FSSP’s decision to bar him from leaving Russia. Hours after he was stopped by border guards at the airport on November 13 with little explanation, the FSSP said he was barred from leaving Russia due to what it said was debt he owed Kirovles, a timber company at the center of a politically charged criminal case in which he has now been convicted twice. The FSSP later said that the fine was paid and that restrictions on Navalny’s travel abroad had been lifted. 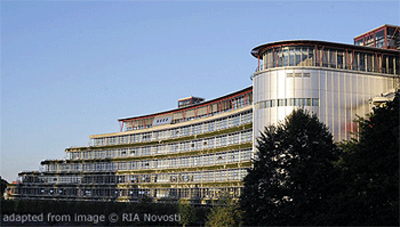 On November 15, the ECHR in Strasbourg, France, is to issue its final decision in a suit against Russia claiming that several detentions, jailings, and administrative convictions between 2012-14 breached Navalny’s rights and were politically motivated. It is a ruling in appeal after Russia challenged a February 2017 decision in Navalny’s favor. 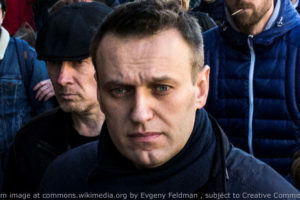 Navalny, 42, has organized large street protests on several occasions since 2011 and has published a series of reports alleging corruption in Putin’s circle. He has repeatedly been jailed for periods ranging from 10 days to a few weeks, usually for alleged infractions of laws governing public demonstrations. On October 14, Navalny walked free after spending 50 days in jail on administrative charges related to antigovernment protests he has organized. A spokeswoman said that the time that Navalny had spent nearly 200 days in jail since 2011, including 140 days since the start of his attempt to challenge Putin in the March 2018 presidential election. Electoral authorities barred Navalny from the ballot, citing convictions in two financial-crimes cases he and his supporters contend were Kremlin-orchestrated efforts to punish him for his opposition activity and for the reports alleging corruption. Navalny was convicted in 2013 of stealing money from Kirovles, a state company, and was sentenced to five years in prison. But the sentence was later suspended, sparing him from serving time in prison. The Russian Supreme Court then threw out the 2013 convictions and ordered a new trial. In February 2017, the lower court again convicted the two men and handed down the same suspended prison sentence. In 2014, Navalny and his brother, Oleg, were convicted of stealing about $500,000 from two Russian firms, one of which was affiliated with French cosmetics company Yves Rocher, and of laundering part of the amount. Both were sentenced to 3 1/2 years in prison, but Aleksei’s sentence was suspended. Oleg was released in June 2018 after serving his term.